One of the perks of being a fan of the Outlander series is seeing the main character, Claire, wearing period knitwear each week. 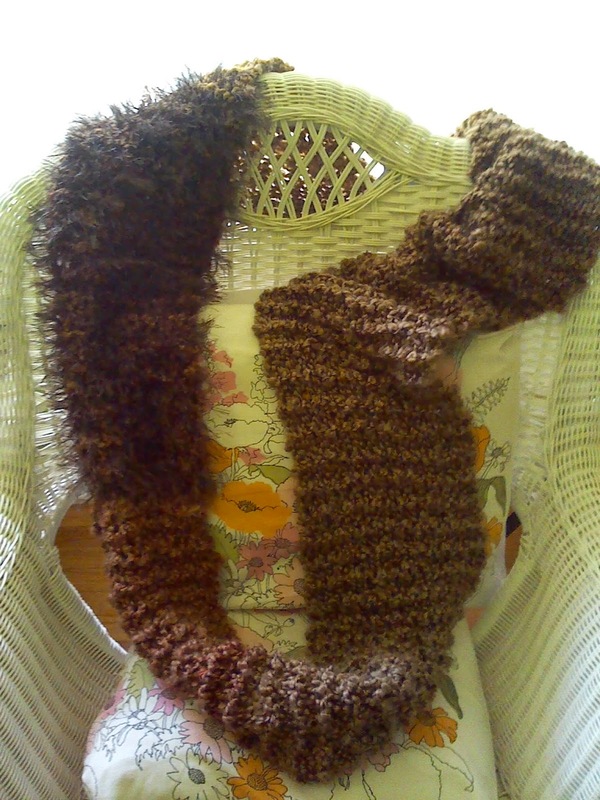 I had the perfect shade of rustic brown yarn vegetating in my stash to replicate the brown bulky simple garter stitch cowl-shoulder wrap thingy Claire wore in episode 2(?) But, after I had knitted half of it I decided I DID NOT want to look like a medieval peasant. Felt the rustic look might benefit from the dash of BLING that only a nice novelty yarn can add, and in in doing so, am very satisfied with the end result! I knit a strand of Zap (again, from the stash!) 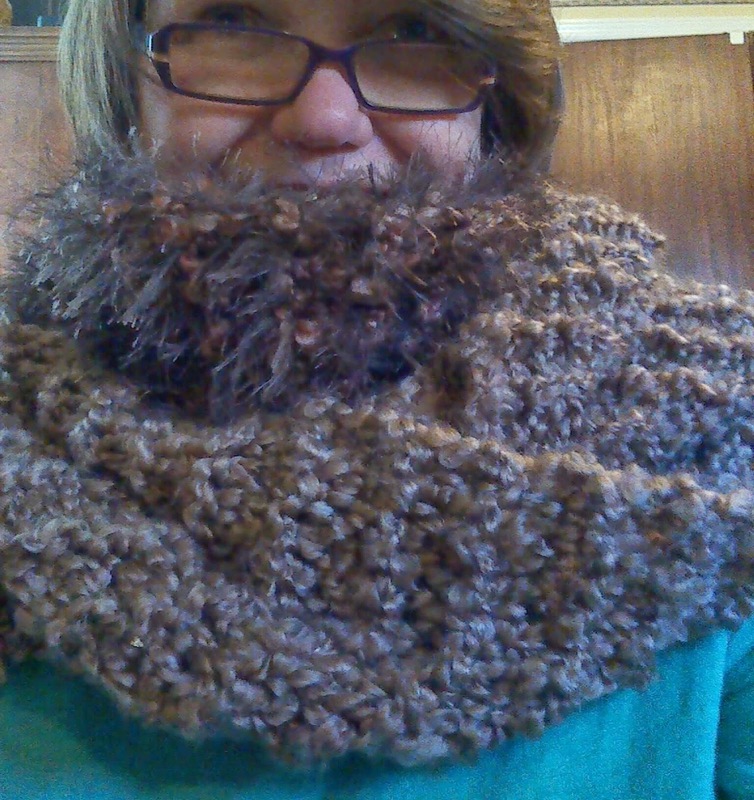 along with a strand of Homespun T&Q on #15 because I wanted it to drape and not be stiff. This is a warm, very long infinity scarf that, when wrapped loosely 3 times, drapes over my shoulders, and also can be wrapped around my neck 4 times. It has the potential to be worn several different ways. Basically it is as tall as I am-5'6". 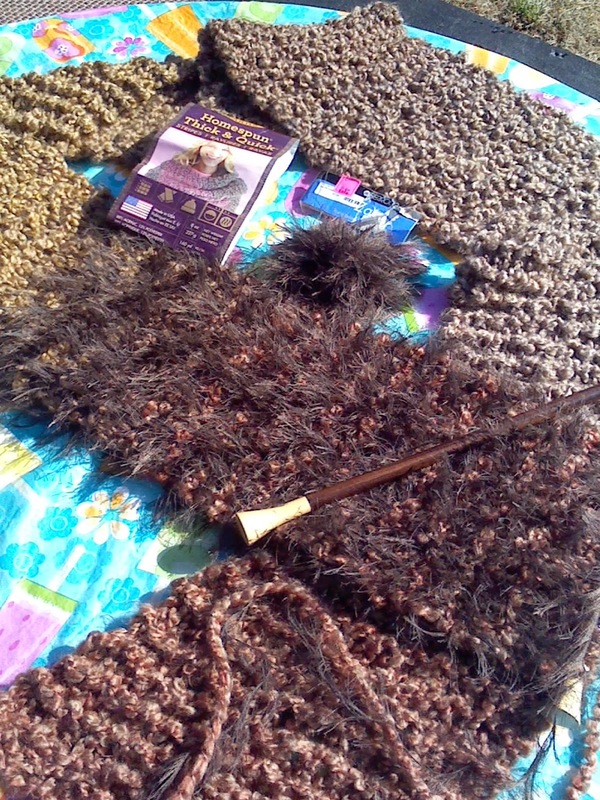 And, because it is thick yarn on big needles the project is completed very quickly. Dimensions are 8 inches wide x 130 inches long before seaming, 8” x 65” after seaming. With your bulky yarn (main yarn) cast on loosely 15 stitches and knit every row until your skein has reduced down to half of it’s original size. Join your novelty yarn to your main yarn and continue knitting every row with both yarns held together. When you are nearing the end of your yarn, loosely bind off and seam both side together into a loop. Whether you add a half twist to your one end before seaming for a Mobius effect is entirely up to you! If I make another I might try casting on 20 stitches to increase the width. I hope you enjoy it if you make one! 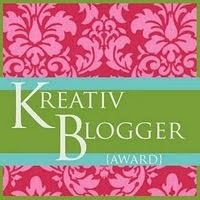 RETURNING TO THE BLOGSPHERE AT LONG LAST! worsted weigh socks for birthday gift, knit with Debra Norville Serenity. Nice yarn to knit with! Satisfying the urge to felt something! Decided at zero hour to go to the Maryland Sheep and Wool Festival. It had become an annual event for several of my friends and me, a tradition that signals Spring is here- let the yarn shopping begin! But, since it is a looooong drive (4 hours!) and an early rise to get there for an 9 am opening, the thrill has become much less. Plus, do I really need any more yarn? Or stuff of any kind? I thought I was sooo over it and that I could contain myself until Stitches East in October. 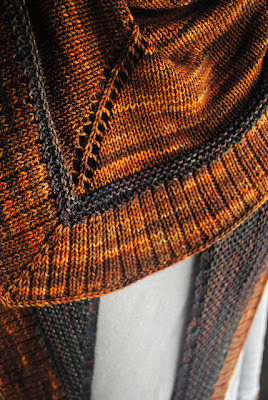 What decided it for me was discovering this while grazing on Ravelry recently. My partner-in-yarn, Nan, drove us to Maryland, and we arrived at the fairgrounds around 10:30 a.m, having left at a reasonable 6:45 am instead of in darkness. Absolutely no more hitting the highway at at 5 am for us sleep loving, bed hugging ladies. We headed straight for The Verdant Gryphon located at the Main Barn at the very end of the fairgrounds, and wormed our way down row A. Miracle! No lines and we were actually able to step inside their tiny booth. Not often the case because they have a devoted following. Already there were several empty and near empty hooks on the Bugga sport weight yarn rack. It was very difficult to select 2 complimentary colors;if you follow the above link you'll see many beautiful colors to choose from. I'm into the grays as late, probably due to the influence of Nan, who practically OWNS the color! She helped me decide on the skeins above and once I finish a few outstanding projects I'll begin the pattern. Sock and Alpaca Lace yarn from those nice ladies at Cherry Tree Yarns. These really cute "quick" sock kits-that vendor insisted I could complete one in only 2 days! Also, could not resist these new and vintage books and gadgets because the price was either right or they held a promise of knitting nirvana. One nice person even gave me a free pattern for no reason at all! The Color Grid is the best tool ever for color selection. I only paid $2 for the Raglan Sweater Wheel, which is truly brilliant! ( Now you can do it for free online using my link!) 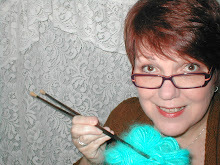 Jazz Knitting inspires me to use hand painted sock yarns in clever ways. And I do need some clever ways to attack the sock yarn stash! Here's a link to a brief video too. Oh, I almost forgot. Even those I have a more recent copy of Elizabeth's book, I couldn't pass up an older version with a retail price of $3.50 that I paid $1.25 because that was half price. And the Duncan book was also 50% off of $3.45. Nine balls of Rowan Calmer in Saffron with a ball of a coral-ish color thrown in for contrast edging and just because it was there. On clearance at a cost of $2 a ball. Originally priced at $13.95 a ball! I remember feeling very light headed as I was clutching the bag of Rowan to my chest. This amazing find took place at All About Yarn, the very last place we stopped to shop before we both shuffled/staggered across the grassy field to our car. I have 1750 yarns of a cotton/poly yarn that knits up at 5.25 st/inch with a size 8 needle. I wear an XL/ 1X. First I thought I'd just do a simple tank for the Summer, but it occurred to me that a light weight cardi just might be possible. So, I don't have too much guilt about my decision to go, shop and spend. Now, to make room and time for my new treasures! Hello again and yes, been busy. Finally finished (in January 2012!) my "plan as you go sweater"
started during a 5 hour crosscountry running high school bus trip to Rhochester, New York, in the Fall of 2010! The idea was to use up the stash of Crysal Palace Taos (Tuscan) maturing since 2005(?) by just casting on for the width of my back and knitting until inspiration struck. It evolved into an adaptation of Suikan from Vicki Square's Knit Kimono I. Knitted in stockinette stitch, worked the front separate from the back and seamed the shoulders. Sleeves were knit flat and seamed on the underside. The bands on the sleeve and up/around the front are garter stitch and hand sewn onto the sweater. The photo really brings out the striping, which appears more muted to me closeup. I'm seeing a tad bit dumpling, but hey! At 56 you have to expect/accept a little meat on your bones! The sweater is lofty and very warm. It became my go-to item during the few coldest days we had, really blocking the wind. 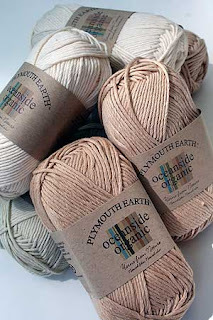 If you can get your hands on this vintage yarn, grab it! Lots of great yarn deals on the Net to feed that Stash! reading the many blogs I subscribe to, trolling the internet, especially Ravelry, for new patterns, knitting and crocheting with friends, occassionally teaching beginners how to knit at the community college, volunteering with my senior crochet group and remaining employed(thankfully) We also adopted a new collie puppy, Brody, in February. In a word, busy! Oh, I forgot my new vice-Pinterest. Cannot step away from the keyboard. Love to pin and be pinned! Hoping to be more timely in my posts. Let's try Mondays. Maybe I'll have something worth sharing? A PACKAGE FROM ANGIE ARRIVES! I love yarn. What's even more to love is yarn that comes in the mail to you FREE! So, lucky me received a BIG package in the mail a few weeks ago from one of my favorite bloggers and Crocheter Extraordinaire, Angie, of Le Monde de Sucrette. Go visit. She celebrated her one year Blog Anniversary by hosting a Giveaway and I was her Random Generated Winner!!! What a lovely note too! Thrilling! Angie sent 5 balls of Nako, a very nice acrylic yarn made in Turkey, which I plan to make something granny square and fun with! I really like the colors! See my new little friend there? He was made by Angie and he's terribly exhausted from his long trip from Beirut. I named him Sucrette. Let's let him rest a bit on his cushy bed of yarn. Sucrette is channeling Vanna White as he displays the mini balls of Nako. Again, adorable colors to work with. Buttons galore and so unusual. Click on the photo for closer detail. I'll have lots of fun finding ways to use them in my knitting and crochet projects! My petite Sucrette is urging me to try out the new 4 mm crochet hook Angie included. Seriously cute, this little guy! Love his curly tail. Angie, many thanks again for picking my name and making my day. Oh, and by the way, keep YOUR eye out for a package arriving at YOUR door someday soon! What can I say. I just enjoy crocheting little things for my home! Often I spend a lot of time knitting. Mostly gifts for others, which I enjoy doing, and less often, it seems, trying to complete one of several projects for myself. Example: Einstein Jacket-circa: many years ago! Status: Not done yet, but almost. It's a very rare thing for me, during the summer months, to NOT be knitting on my back porch or poolside, a Ball Band dish cloth. None knitted this summer. Nope, not a one. But, I do like to make things for my home. This year, my summer turned into THE SUMMER OF CROCHET LOVE for me. My back porch time was usually spent crocheting little cloths at 2 am while my aged collie, Scotty, was leisurely relieving himself in the moonlight. This was my coping skill to deal with my enforced sleep deprivation. These little wash cloths were made with Plymouth Earth Oceanside Organic Cotton, purchased at the Knitters Edge, in Bethlehem, Pa., in assorted natural color tones. This was my very first experience working with organic cotton of any kind. This yarn is very soft and works into a great wash cloth, which, from personal experience, feels quite luxurious. Keep them for yourself or gift to a friend! Here is the pattern. Enjoy! 2 balls of Plymouth Earth Oceanside Organic Cotton, in 2 different colors. Two balls make roughly 3 cloths, with contrasting color border edging. Starting from second chain from hook, single crochet across, chain 1, turn. Row 1: Single crochet across row. Repeat row 1 for 35 rows or until desired length. Cut yarn and attaching contrast color, single crochet along all 4 sides, making 2 single crochet stitches in each corner stitch. Cut yarn, weave in tails, and make another one! Every year a small group of us that knit and crochet together meet in January for our own little Christmas/Hanuka celebration luncheon. And, because our lives seem to be getting more and more hectic, this year we had to postpone our celebration until July! So this year we had a Christmas In July Party, which really was much less stressful than if we had kept to our January schedule!The timing was really fortunate for me because I still hadn't completed all of my gifts! Please don't think I'm a procrastinator-I just get sidetracked throughout the year with all the many different projects that come along as gifts for others! Let's just say I do lots of multi-tasking when it comes to my craft! Anyway, the rules for our group's holiday gift giving is to make all or some of the gifts, preferably using materials from our stash. Of course, no one says we can't keep adding to our stash(s) but you get the main point, right? So, this year, being so totally into flowers and crochet, I wanted to give the gift of flowers to my Knitting Chicas! The hardest part of this project was deciding which flower from which book to make! I used Perle Cotton and a size 7 steel crochet hook. I had on hand a surprisingly good quality fleece gloves found at the Dollar Tree in December, and without knowing exactly what to do with them, had bought and put them aside until I had that crochet Epiphany! It really wasn't difficult....I picked flowers from several books that I thought the recipient would like. The flowers kind of decided on their own where they would be arranged on each pair. I pinned each flower in place, the glove mate a mirror image of the other, and sewed them on with black thread. And, each pair of gloves fit nicely in a little project basket from Lantern Moon. I was very pleased with how they urn out. My friends seemed to really like their gloves. Of course, they'll need to be hand laundered. Now I must make a pair for myself!